"We are extremely grateful that Bob’s has been, and continues to be, a strong supporter of our mission of helping children in need." 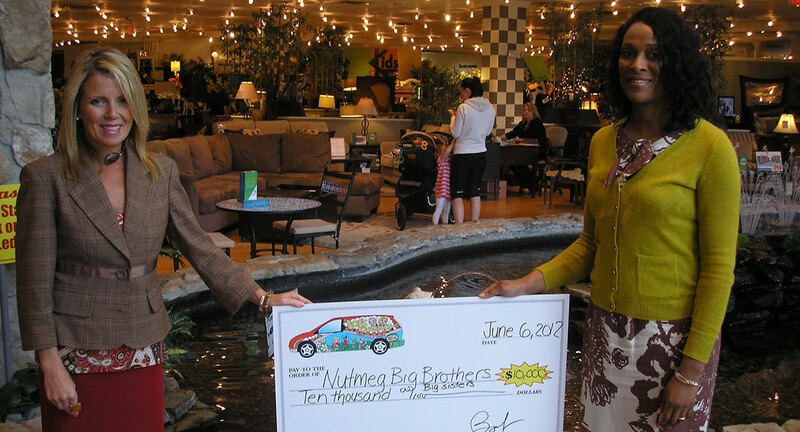 Nutmeg Big Brothers Big Sisters is an affiliate of Big Brothers Big Sisters of America, the longest established youth mentoring organization in the world – founded in 1904. It helps its clients, children from single-parent and no-parent homes, avoid criminal activity and reach their highest potential. Nutmeg does this by creating and maintaining one-on-one relationships between children in need and professionally-screened, inspirational adult volunteers. Based in Hartford, Nutmeg was founded in 1966. It serves thousands of youngsters in 111 of the state’s 169 municipalities. Bob's Discount Furniture Charitable Foundation is committed to making a difference in our local communities. Bob's Discount Furniture Charitable Foundation can only accept requests from qualified 501c3 not-for-profit organizations and municipalities. We are unable to offer individual or team sponsorships.